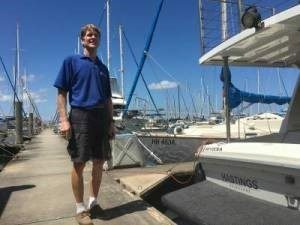 Simon Kellett, the owner of Vicsail Western Port, is taking over the boat sales yard at Yaringa Boat Harbour. Simon will be using the yard to showcase trailerable boats that are for sale through Vicsail. Buy, sell and insure your boat with one of Australia’s leading yacht and power boat brokers. Simon Kellett – Vicsail Western Port owner/director. Simon Kellett is the director of Vicsail Western Port. He established the office at Western Port Marina, on the Mornington Peninsula, in 1992. Simon offers instruction on power and sailing boats to help purchasers learn about their new vessels. He also delivers boats throughout Australia and arranges road transport of boats for purchasers within Australia. Barry Brady – Vicsail Western Port sales consultant. Barry Brady has sailing in his blood. 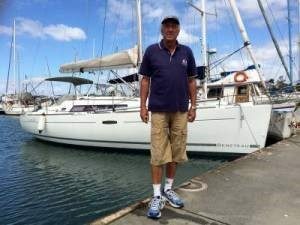 He has been sailing for 32 years, owns a Roberts 36 Pilothouse Cruising Yacht at Western Port Marina and has a vast number of yacht races under his belt including 16 x Marley Point yacht races. He has sailed in the Western Port Bay area since 1984 and has cruised Bass Strait on various blue water yachts. Barry is part of the Western Port Marina boating community, he builds racing dinghys and he is highly experienced in boat maintenance and navigation technologies. Vicsail launched into the Australian sailing fraternity in 1983 and has been going like the wind ever since the first office was established in Geelong. From these modest beginnings, the business has grown over the last 25 years to become the premier yacht broking network in Australasia. Rich in sailing experience, the Vicsail team offers clients a unique combination of knowledge, professionalism and consideration. We continue to lead the industry with our all-encompassing service and strive to make buying a yacht a pleasurable experience. More than 60 per cent of our business is from repeat clientele. Vicsail directors understand that every sailor, or potential sailor, has different needs and experience levels. By drawing on the talents and resources of the entire Vicsail network, Vicsail can source the right yacht for you. • 5 brokerage offices around Australia – Vicsail Western Port, Vicsail, Vicsail Sydney, Vicsail Geelong-Melbourne and Vicsail WA .